That said, when it comes to labeling, I prefer to add a little ooh, la la value. Whether it be a label made on our computer, or placed inside of a decorative bookplate or even created with my label maker, I want it to stick around for awhile and look the part. As you can see, my Silhouette has helped me label countless bins, organizers and containers in a variety of darling ways. And when I recently named it as one of my top recommended tools, I received quite a few requests for some Silhouette specific tutorials. I admit, pulling the Silhouette straight out of the box was extremely exciting until the moment came to figure out how to use the thing. Then, the sweaty palms and overwhelming butterfly belly set in. My biggest tip for learning how to use your machine is to watch a few YouTube tutorials and to always read the directions on the Silhouette media packaging (the packaging for the vinyl, sticker paper, gold foil paper, fabric transfer material, etc. It generally has easy to follow step-by-step directions). I recently had a couple of new vinyl labels to create, so I thought I would dust off my ol' pal and put it back to work. Remembering your requests, I decided to also post the steps I take to whip up those fancy pants labels time and time again. 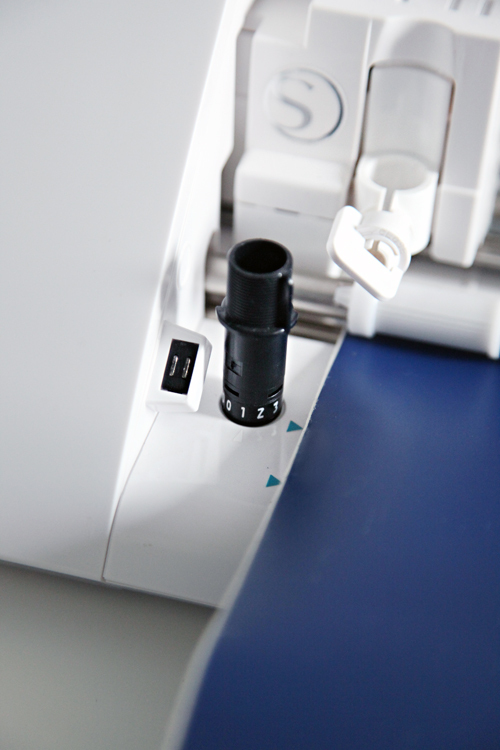 The first step is to plug in your machine, open the Silhouette Studio program loaded on your computer and make sure the software is up to date (it will tell you if it is not). I always begin in Design mode, which pulls up a blank canvas for your project. I like to think of the Silhouette as a printer and the Design Page Settings are similar to setting up typical printer page settings; selecting media/page size and orientation. When working with vinyl, you will also want to be sure that you select None for the Cutting Mat option. I like to Show Cut Boarder as the red line ensures I don't place any graphics in a "no cut" zone. Now it is time to design the label. The lovely thing about the Silhouette Studio is that it imports all of the fonts on your computer. Creating a design is quite similar to working in Microsoft and Photoshop programs. 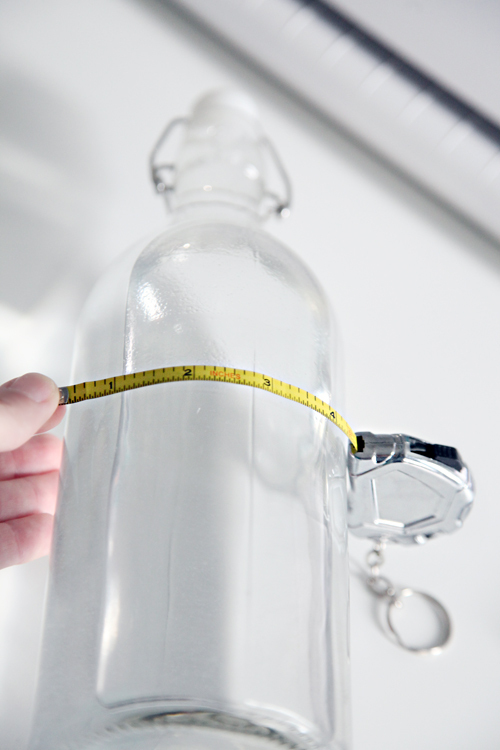 But before you can get too crazy with your design, you will want to take a measurement of the area you plan to label. 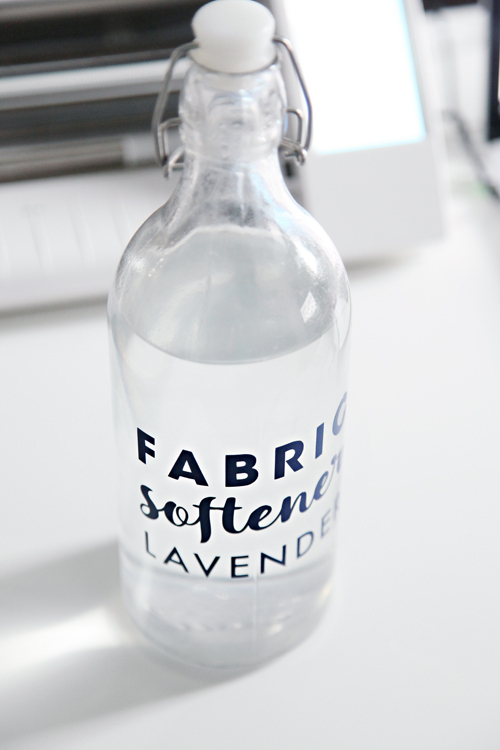 For this example, I was labeling a glass bottle that I use for making and storing our homemade fabric softener. 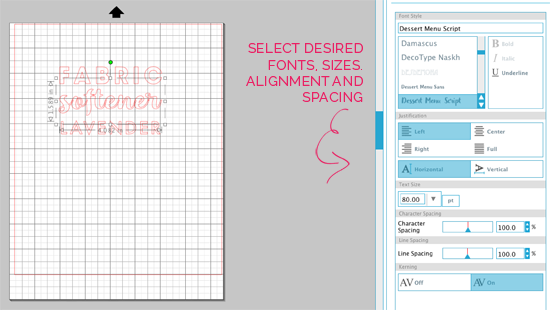 Knowing how much space I had to work with, I created the label design using the Silhouette Studio program. I used the Text tool, which opened a Text Style menu on the right hand side of the screen when selected. Using the available settings, I was able to play around with a few different font styles and text sizes while also having the ability to change the character spacing. I generally design in the center of the screen and move things for cutting once my design is complete. The grid allows me to easily align and space my text. 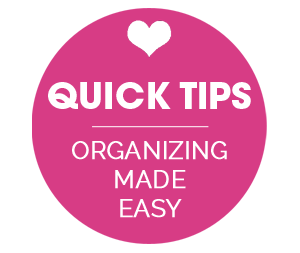 Quick Tip: Select fonts that are thick/bold for a cleaner outcome. Thin and small fonts tend to be more delicate and run a risk of snagging during the cutting process. Once you have your font(s) determined, you can select each font box to see how wide the cut area is (small measurements will appear on the screen when any object or font is selected). This is also the time when you will want to be sure that any connected cursive type font is welded together into a single cut. 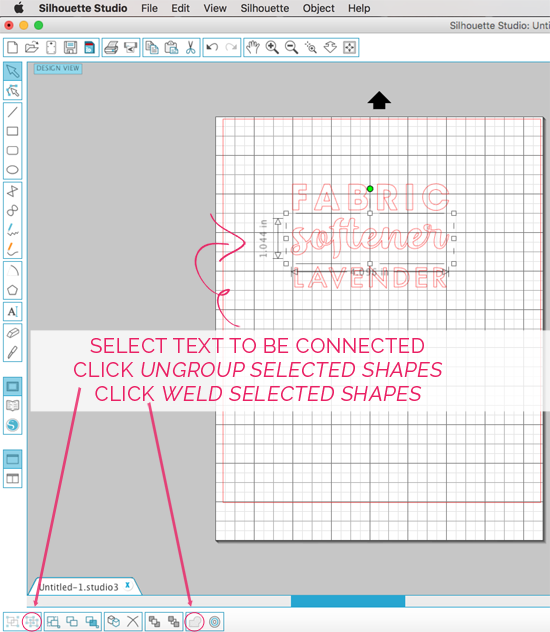 To do this, I select the word box, click Ungroup Selected Shapes and then click the Weld Selected Shapes button. You will see your word go from a choppy multi-cut font to a solid welded single cut font. Now that the cursive font is sized and welded, you can select all of the label design elements and pull them to the area you wish for it to cut in your vinyl. I usually go for the top left corner to try and preserve my vinyl to reuse for future projects. 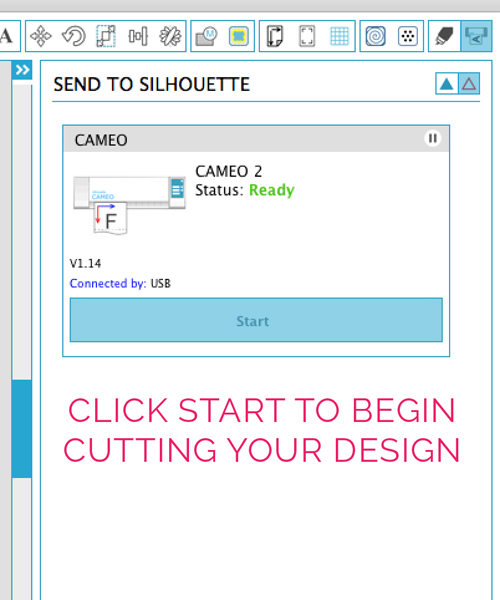 Prior to sending the job to the Silhouette, you will want to confirm your cut settings in the Cut Settings menu. Anything shown on the screen with a pink outline will cut into the vinyl. Here you can also select the type of material (in this case Vinyl) and the program will give you the proper settings for your blade based on the material selected. Above, you can see it recommended that I set my Ratchet Blade to a #1. You can adjust the number on your blade right within the machine itself. Shown below is the small arrow pointing to the number 1 on my blade. Once selected, back into the blade holder it goes for cutting. 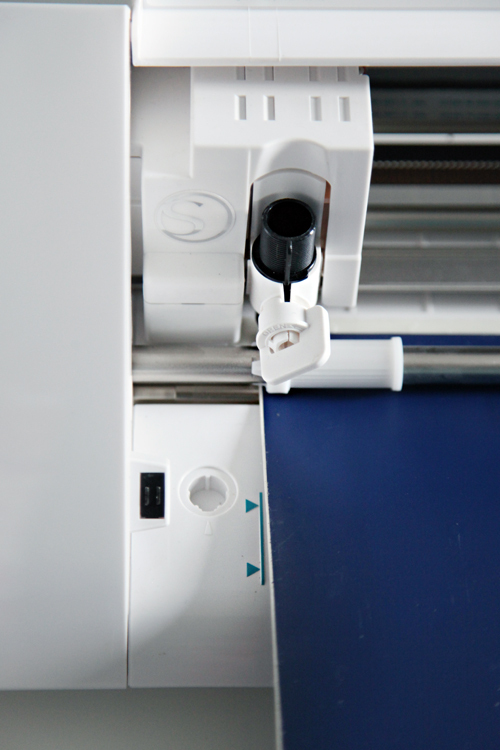 On the Silhouette machine, you should see the option to "Load Cutting Mat" or "Load Media". Load Media is the option you will want when cutting vinyl. 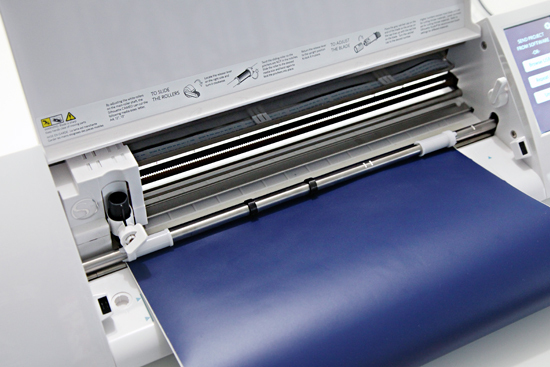 Use the blue guides on the machine to line up the vinyl, lift the bar with the lever, tuck the vinyl under the rollers and press the Load Media option on your screen. You may need to straighten the vinyl a bit prior to lowering the roller bar down to hold the vinyl in place. Now you are ready! Nervous? Don't be! You got this! Click that Start button and watch the machine work its magic! A few minutes later and you will have yourself some freshly cut vinyl. Not quite as fragrant as fresh cut flowers, but equally as exciting! There were a few little spots that didn't cut 100% perfectly which might be the sign of a dull blade or an off-brand of vinyl or maybe not having the blade set to the right level. I don't get too worried about small imperfections because they usually smooth out during the transfer process. Speaking of transfer, now that the label is designed and cut, it needs to be transferred to the desired container. 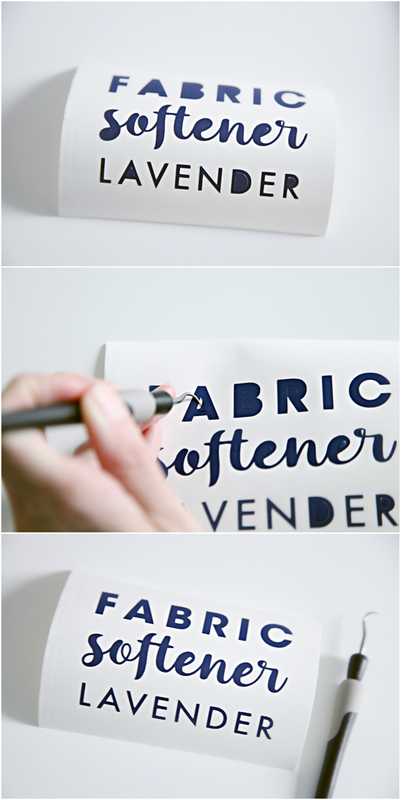 To quickly and easily transfer the vinyl, you will need to use transfer paper (I typically prefer the lined/grid version but didn't have any on hand for this tutorial). I also use a card, a hook tool and scissors or a paper slicer. 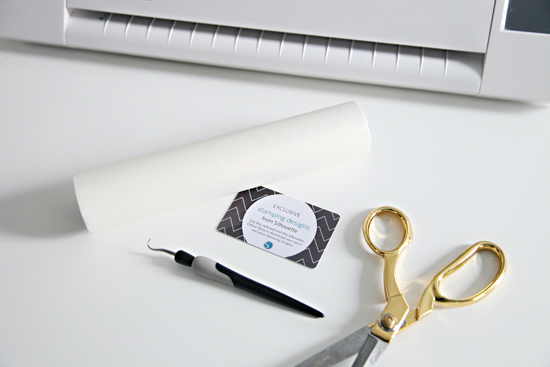 Cut your labeled area from the roll of vinyl with the scissors or slicer. 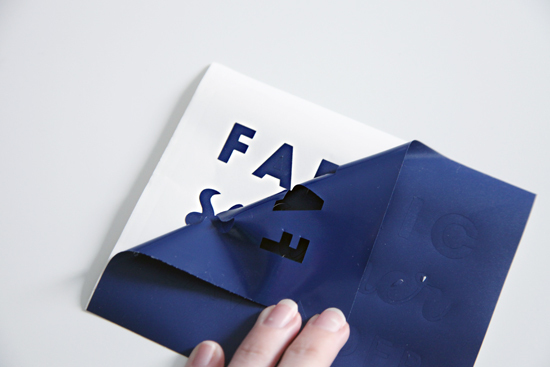 Peel back the blank area of the vinyl to expose your label. You will notice that the smaller areas inside of the letters also need to be removed from the vinyl backing; this is where the hook tool comes in very handy. Next, place your vinyl face down onto the transfer paper. If I don't have a grid, I try to find a straight edge to pair up to. 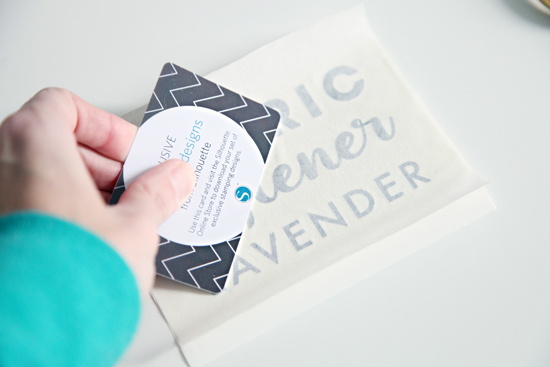 Use the card to press and smooth the transfer paper to the vinyl label. 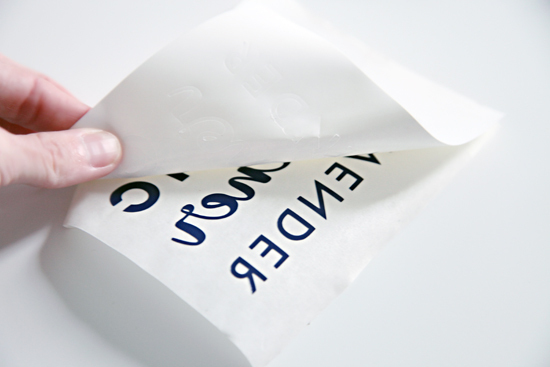 Peel back the vinyl backing; the vinyl should now be on the sticky side of the transfer paper. Stick the transfer paper to the surface to be labeled. If you lightly press the outer edges, you should have some ability to adjust it until it is right where you like it. 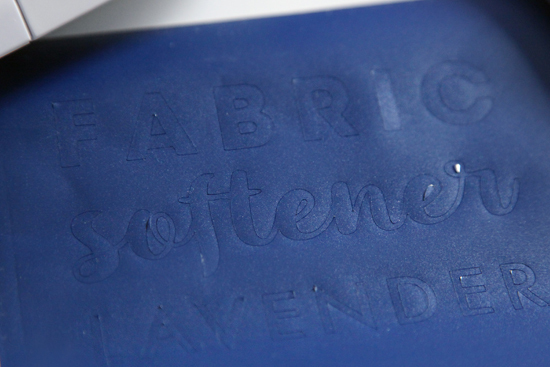 And when you are ready to commit, use the card again to rub and transfer the vinyl to your final surface. 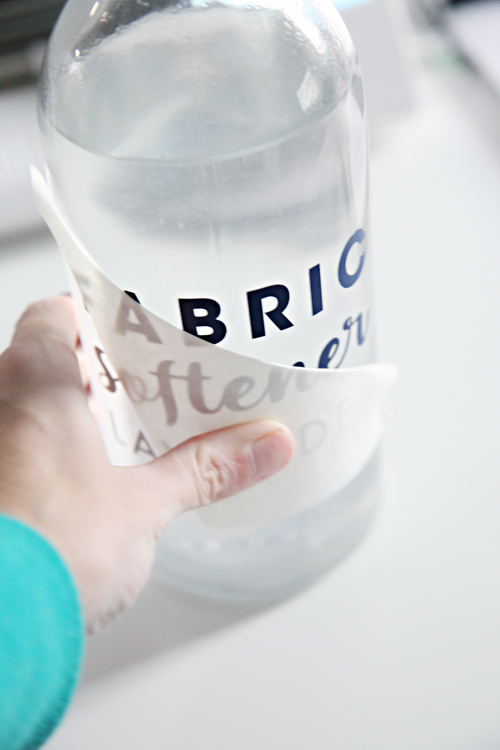 Slowly peel back the transfer paper; the vinyl should remain on your surface. I have found that the tighter I bend the transfer paper back, the less likely the vinyl will pull away with it. And you now have a surface beautifully labeled with vinyl! The bottle was still feeling a little bare, so I added a floral embellishment that I downloaded from the Silhouette Online Store. I also created a second label for our stain remover as well. Endless creativity! Vinyl gives me a lot of freedom to select a color, font, size, shape, pattern, etc. It is temporary! If I ever want to reuse a container or bin down the road, the vinyl just peels off like it had never been there to begin with. But it also stays put! Although vinyl is intended to be a temporary solution, it will stay put until you are ready to peel it away. It is washable! 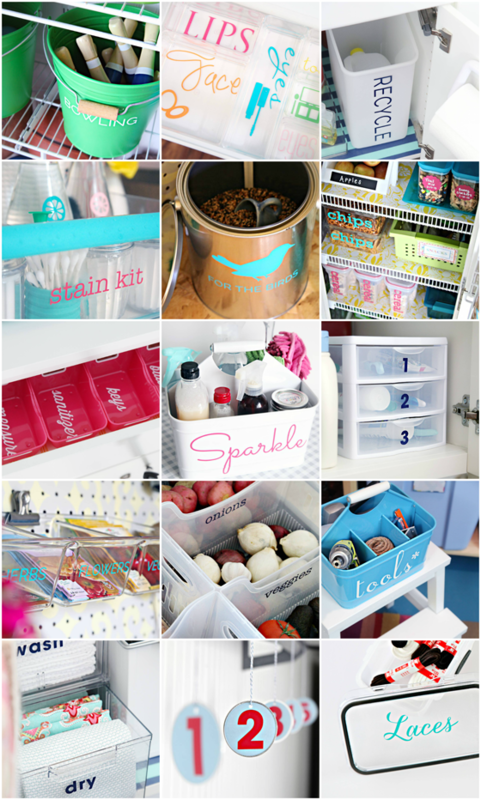 When I label items like my cleaning caddy, cleaning supplies and food storage bins, they tend to get dirty and need frequent washing. Vinyl is durable enough to be washed with soap and water without wearing away (I typically wash by hand but have thrown a food container through the dishwasher a time or two). It is easy! 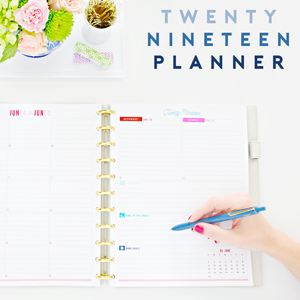 Although it feels like a lot of info and steps in this post, now that I know what I am doing, it only takes me a few minutes to whip up something snazzy. Any other questions regarding how to cut vinyl with a Silhouette? 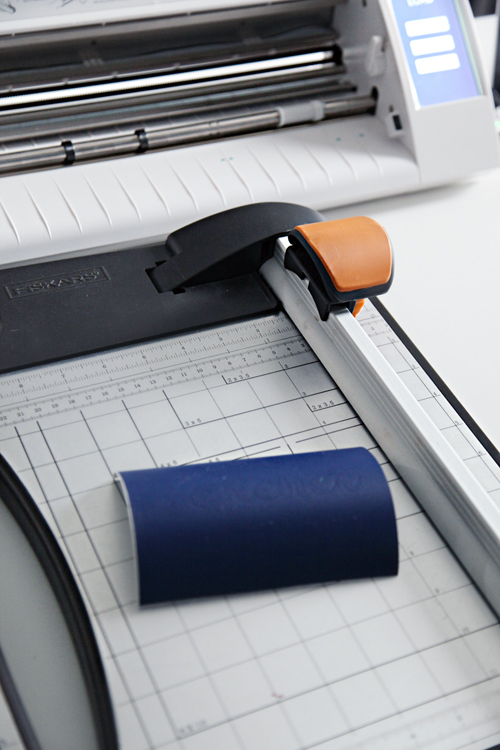 If you are not looking to invest in the Silhouette machine, you can also cut vinyl with an X-Acto knife or paper punch! 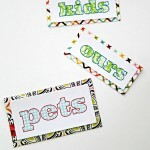 Check out an example of easy labels made with a decorative punch here. 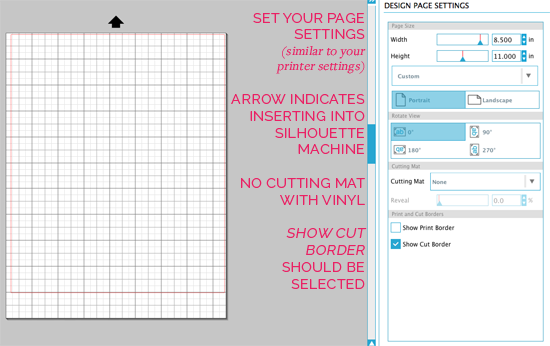 I also can't wait to also share how to use the Silhouette Print and Cut feature! 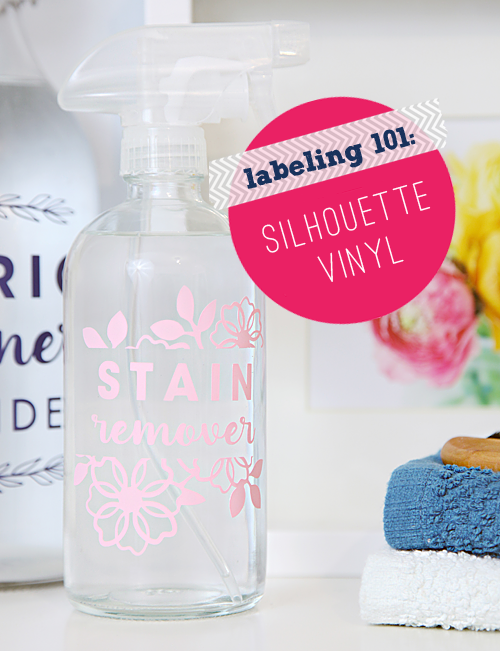 It ranks right up there as a favorite way to use the Silhouette to create superfab labels for around the abode. 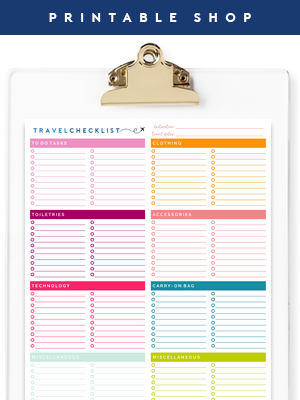 Are you now in the mood to label everything in sight? Check out more labeling tips and tricks shared in the rest of the Labeling 101 series below. Thanks so much for doing a post involving your Silhouette!! I recently recieved my Curio, and it is super confusing, but every little piece of information I see on it, adds up! Vinyl is one of my favorite uses for my Silhouette. I used outdoor vinyl for permanent labels (Dishwasher tested) for take-home glasses for my wedding (http://www.danksandhoney.com/2014/03/m-wedding-reception.html). After 3 years, they're still going strong! I love your labeling posts. Not only do I like the different techniques/materials you use, I love the fonts you choose! Would love to see a post on the fonts you like and how you mix and match! Thanks for that tip! Did you apply the outdoor vinyl to glass or plastic? I have also used the outdoor vinyl and you could apply it to either glass or plastic and it should stay well. The outdoor vinyl is super durable! Thanks so much for the tutorial! 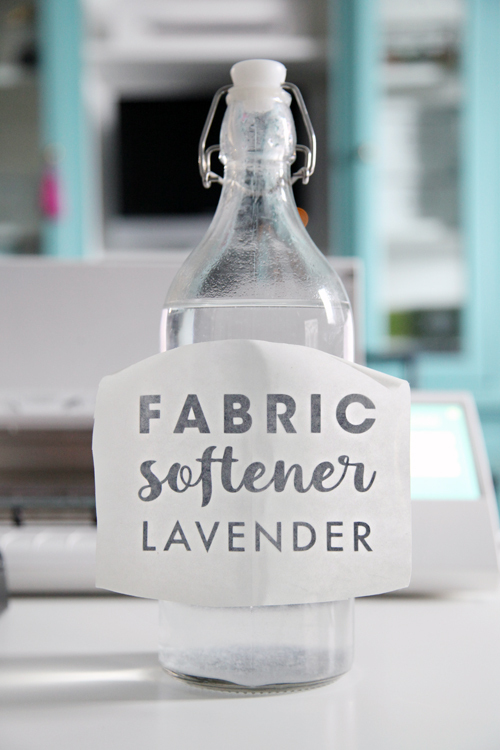 Any chance you'll add a link to your homemade fabric softener? Do you notice any vinegar smell on your clothes or is the essential oil enough to mask it? If I wanted unscented, could I just use vinegar? 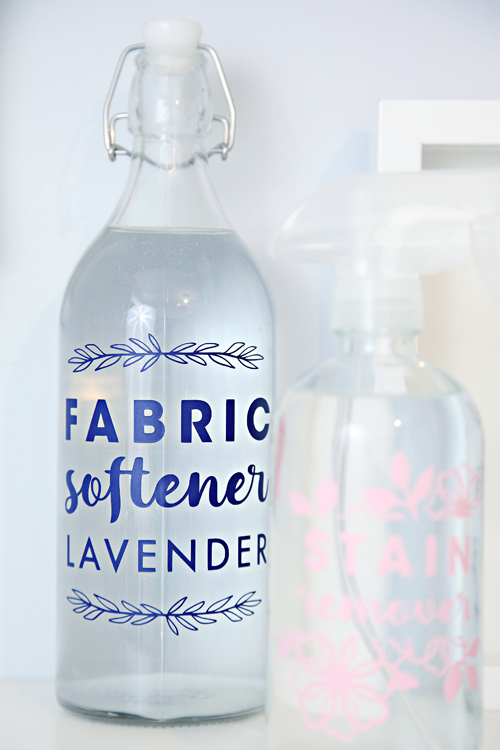 How does it compare in softening to store bought fabric softeners? It would be such a money saver!! Kelly, I use only vinegar as a fabric softener in every wash and it never smells! The great thing about vinegar is that it only smells when it is wet - once it dries the smell goes away! I also find that my clothes are just as soft as using conventional softeners - its a pretty cheap experiment though, if you wanted to try it!! Thanks so much for the tutorial. I have a Silhouette that I bought a couple years ago and am still afraid of, so I don't use it near enough. My husband just bought a giant rolling tool box (Kirkland brand from Costco) and would like some labels on the smooth metal drawer handles. Would Silhouette vinyl work on that or do you have a better recommendation? Definitely! I think it would be one of your better options when looking at the traffic a handle receives and the need to use something durable. 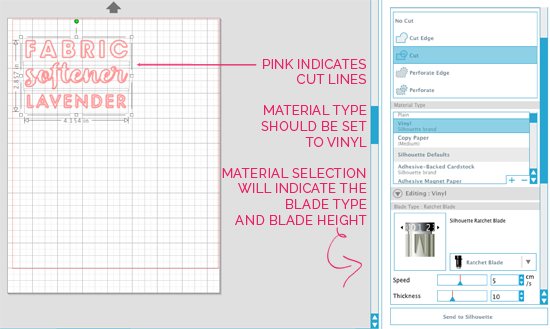 Can you tell my why you selected Silhouette verses the other vinyl cutters on the market? I am looking at getting one, but I can't tell why makes one better or worse than the others. I started with the Silhouette quite a few years ago when the only other option I knew of was the Cricut, and it was all cartridge based at that time. I loved that the Silhouette offered the design freedom using fonts and graphics from my own computer without needing to purchase cartridges or packages. I find the machine pretty easy to use now that I have gotten comfortable with it, and love the variety of special media and materials that Silhouette is always releasing as well. All of that to say I haven't personally reviewed or compared to any of the newer options on the market today. xoxo! Such pretty bottles! 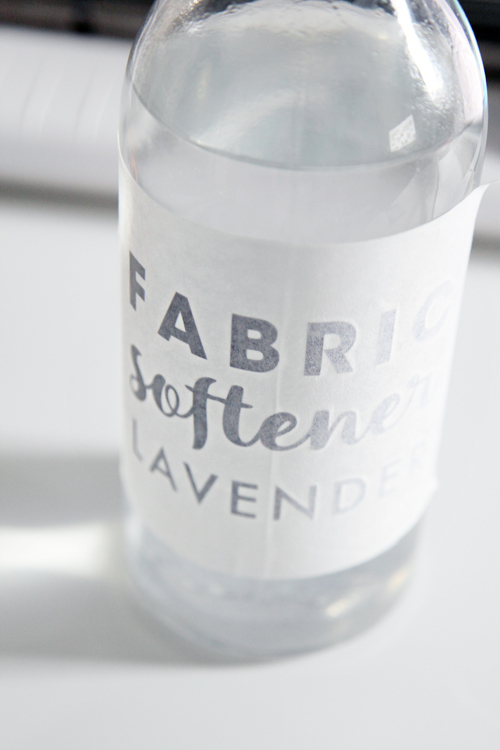 Can you share your recipe for homemade fabric softener? Hi Jen! 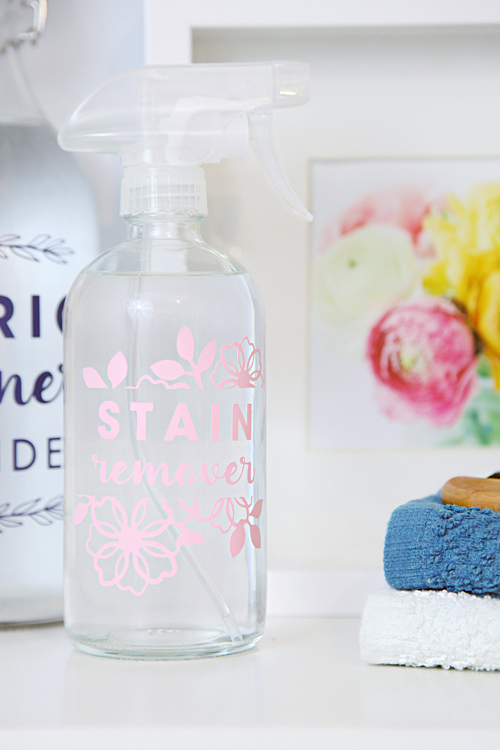 Would you mind sharing how you make your stain remover? As a fellow mom of 3 boys I'd love any tips on stain removal :) And I agree, the silhouette is amazing! I love mine. 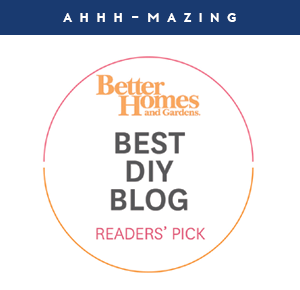 You can find all of my stain remover recipe links and products here: http://www.iheartorganizing.com/2015/01/quick-tip-tuesday-create-stain-removal.html I find myself using these much more than the laundry stain remover. 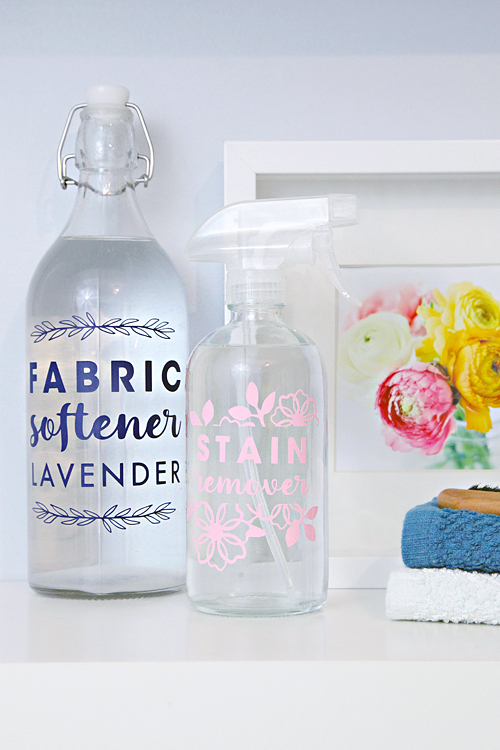 For everyday laundry stains I use a combo of distilled water, clear dish soap and a few drops of lemon essential oil. I got a Silhouette a year and a half ago and haven't yet made time to figure out how to use it. Thank you SO much for putting these instructions here! I've had a Silhouette for several years, but never got the courage to try it without the mat! Maybe on my next project :) Thanks for the refresher! I pretty much never use my Silhouette, but I really need to get it out! You have inspired me :) I am obsessed with labeling so it only makes sense that I should be doing this! I bought a Silhouette a year ago and was so intimidated by it I ended up returning it. This one post was more helpful than anything I was able to find online at the time, and is making me eyeball the machine again! You make this all look so easy! I don't have a silhouette but I think I need one after reading this post..How often would you say you use yours? I reach for it almost any time I need to label something, but I also find myself using it with the kids for school projects and also when putting together gifts. It definitely gets used multiple times throughout the year. Thank you so much for the tutorial, it was a great refresher! I've never used mine without a mat, what is the difference? Can't wait for your other Silhouette tutorials, I've only ever used it to cut vinyl so I'd love to see more ideas on how to use it! The mat generally ensures that the item doesn't slip while being cut, but most media will tell you if you should use a mat with it or not. Some items have enough backing that a mat is not necessary. Great Post! Thanks for sharing, so excited to use my Sillhouette Cameo now that the iPhone app is finally out! I bought my silhouette a few years ago, thanks to all your wonderful projects. I was so intimidated, I literally left it in the box for a year. In the last 6 months, thanks to some awesome facebook groups I am using my machine almost daily. Holly, what Facebook groups do you use for your Silhouette? I bought mine about 3 years ago, tried to use it, gave up and it hasn't been used since! I love the crispness of labels made with vinyl instead of hand-painting. I have seen you use these on quite a few projects. I am wondering about recycled plastic food containers (cocoa containers to be precise) that i want to label for pantry use. A lot of bumping and sliding. Think it will hold up? I definitely think they will, especially if you use a nicer/higher quality vinyl. But even the everyday Silhouette vinyl I used in our pantry is still going strong a few years later. xoxo! Thanks for the great post! What were the fonts you used? Do you have any favorite fonts as of late? I feel so silly for not knowing about the transfer paper! I have been putting the vinyl directly on my bins using a ruler to try to get it straight!! Thank you so much for this helpful tutorial!! Now I know what that paper is for!! I was wondering where you found your clear spray bottle & the bottle for the fabric softener? 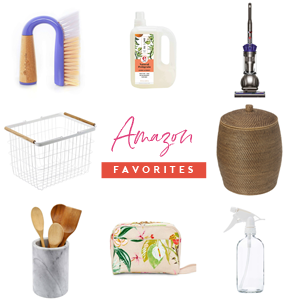 I've been looking for similar ones for around the house and I'm having no luck! I love the crispiness of your label design. I have had my Silhouette for a couple of months but so far not a single design has come out just the way I want. Do you mind sharing the fonts you have used and if the flowerdesign can be bought online of if its self made. Hi Jennifer! 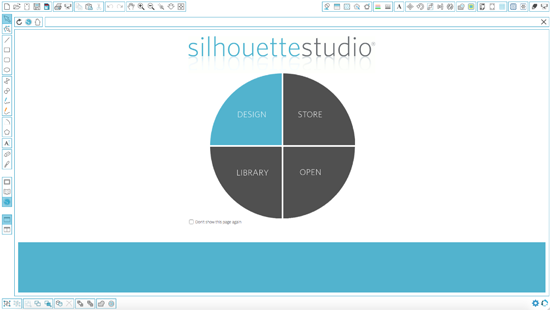 Did you purchase your fonts from Silhouette? Jen, would you ever consider making these labels through your silhouette and selling them on your etsy shop? I believe that the Stain Kit was done with the font "American Typewriter" and the cleaning caddy was done with "Capistrano".